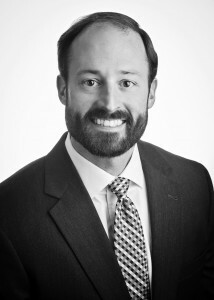 Mr. Anderson is a Montgomery native who graduated from Auburn University with a B.A. in Economics. He later received his Juris Doctorate from Cumberland School of Law. He sat consecutively for the Alabama and Tennessee bar exams and was admitted to both. While in law school at Cumberland, Jesse served on the Student Bar Association and the Honor Court. He served as President of the Student Bar Association in 2010. Jesse was awarded a selection to Who’s Who Among Students in American Universities & Colleges in 2011, and was the recipient of the American Law Institute and American Bar Association Scholarship & Leadership Award. Jesse was recently elected as the President of the Montgomery County Young Lawyers, and will serve in that role through 2016. He also serves on the Alabama State Bar Young Lawyers Executive Committee and is a past Chairman of the Montgomery YMCA Boys Work Committee. His practice includes a broad range of civil litigation matters, with an emphasis on insurance defense. Jesse is a member of the Alabama Bar Association, the Montgomery County Bar Association, the American Bar Association, and the Montgomery County Young Lawyers Chapter. Jesse is admitted to practice before the United States District Courts for the Northern, Middle, and Southern Districts of Alabama, as well as all Courts in the State of Alabama and Tennessee, including the Alabama Supreme Court and Tennessee Supreme Court.